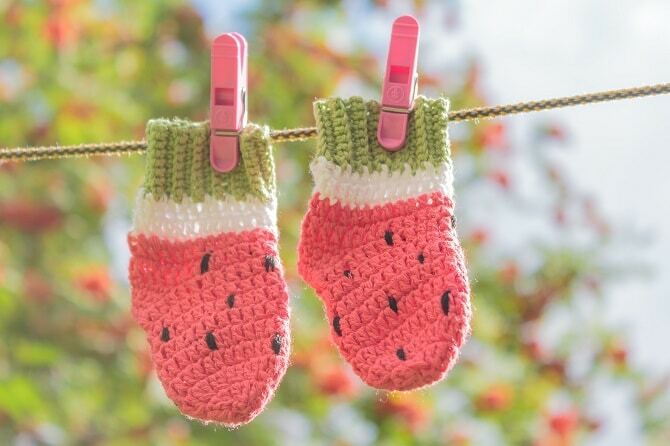 Tiny crochet baby socks look so cute on little girls and boys and allow you to get really creative with them. 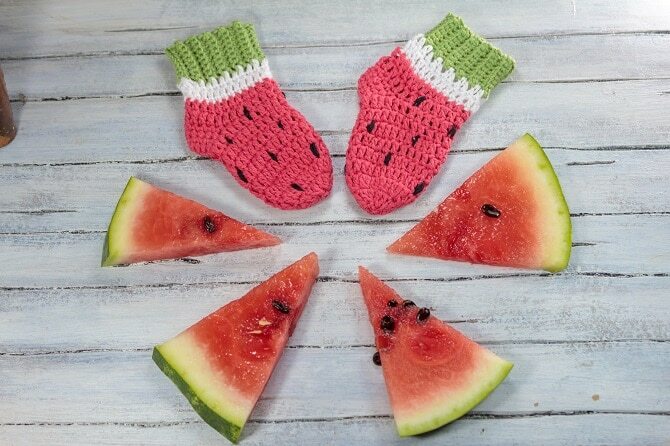 Watch the video and follow step by step tutorial to learn how to make these crocheted watermelon socks for your newborn baby from start to finish. Fold and crochet 8 sl st.
Join the red yarn and work around. Sew the hole and embroider the black watermelon seeds. Don’t forget to subscribe to our YouTube channel if you haven’t already. 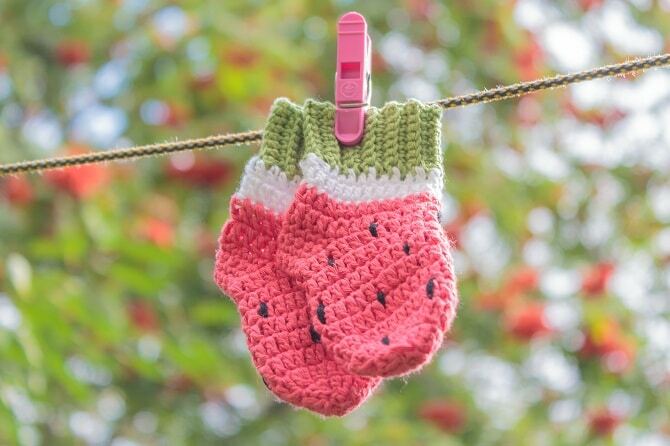 This entry was posted in Crochet, Video Tutorials and tagged baby socks, crochet, free, pattern, tutorial, video, watermelon. 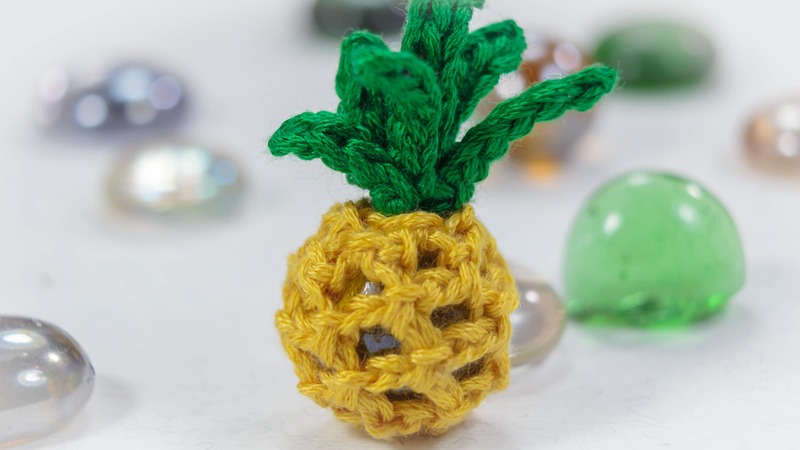 If you love pineapples then you will want to watch this crochet tutorial to create own tiny pineapple!